The Cotswold Branch have updated their programme of meetings through to July 2019. The Prince of Bentheim und Steinfurt. The Society is pleased to announce the continued avaliability of ‘By Order Of Her Majesty’ The Crimea Medal by Tony Martin, William Pickering and Arthur Satterley. The Crimea Medal radically changed the entire process of both the manufacture and distribution of campaign medals forever. Awarding such medals in bulk was a relatively new concept anyway, but pressure from Queen Victoria to issue this one while the campaign in the Crimea was still being fought placed huge strains on those responsible for ensuring that soldiers and sailors received recognition. In the process this created problems for collectors which continue to this day because so many medals were issued unnamed. This fascinating study by a team of three authors looks at the institution of the medal and its clasps, the monarch’s influence, the manufacturing process and includes a detailed look at the naming – both official and unofficial – of the medal. It is the most comprehensive study of its kind ever undertaken and is a must for medal collectors and for anyone who is interested in the Crimean War. The hard back edition of this book has now sold out, so we have decided to make the book available as a paperback through the print-on-demand service Lulu.com, see here. Please note that the link will take you away from our website and you will need to order the book directly from Lulu.com. The September edition of the OMRS Journal will be available soon. Members must ensure their email and/or postal address details are up to date in order to receive it. To check your membership details log into the Members' Area, or if you have forgotten your details contact the Membership Secretary at Membership on the Contact page. Convention exhibition breaks records in both quantity and quality - Head Judge Dr Richard Emsley said 'the judges knew they had their work cut out based on the increase in numbers, but when we saw the quality we knew we were going to have tough day. When you see a top class exhibit, doing justice to the effort put in weighs heavily on the whole judging team'. The quality of the exhibis showed through with 13 out of 29 competitive exhibits being awarded gold medals. The Best in Show award went to Mark Collins (pictured above receiving his trophy from OMRS President, Air Commodore Graham Pitchfork) – better known in the medal collecting fraternity as ‘Taff’ - for his superbly researched exhibit ‘Long Service & Good Conduct Medals to the 41st (The Welsh) Regiment 1830-1881’. For this he had compiled a nominal roll of recipients with biographies and medal entitlements. The best first-time exhibitor was Meurig Jones with ‘British Empire Casualties of the Anglo-Boer War 1899-1902’. Members attending the Convention selected Alan Seldon’s ‘Executed as British Spies in World War One’ for the members' Choice Award. This superb exhibition about Belgians executed by the Germans for working for the British between 1914 and 1918 exemplified the high standard of research on show this year. But probably the biggest cheer of the day was for the announcement that Lionel Digby, who has exhibited at every Convention since the event was founded in 1978, had won his first-ever Gold Medal. ‘The Moonlight Charge’ featured medals and militaria from his magnificent Household Cavalry collection. A full listing of exhibits and results will follow. “An excellent Convention which must rank as one of the very best yet” OMRS President, Air Commodore Graham Pitchfork MBE sums up the 2017 OMRS annual Convention. The huge 30 per cent increase in attendance recorded last year when the Convention moved out of London for the first time to Stratford-upon-Avon was maintained this year. Despite 2016 being a tough act to follow, overall attendance went up from 415 to 427 with people coming from around the world. In 2015 – the final year in the capital – the number had dropped to 325. The Convention began with a reception for members and guests – a new event – at the hotel on Friday evening. This proved extremely popular with 86 people attending and many of them continued their discussions in the hotel bar or nearby restaurants. It helped create a buzz that lasted throughout the weekend. The increase in the number and quality of exhibitions on the Saturday was immediately apparent. The overall number of exhibits went up by 17.5 per cent to 40. The vast majority of these – 35 – were staged by Society members, an increase of 20.5 per cent. Only a few years ago the tradition of exhibiting at the OMRS Convention appeared to be in terminal decline, but has since recovered due to the introduction of the new format and standardised exhibiting criteria. The dinner on Saturday night proved popular with 111 attending. At the Sunday Medal Fair the number of dealers increased slightly from 29 to 30 despite the withdrawal of three regulars who wanted to come but were unable to get to the event. David Langrish - Commemorating Conscription: Papers of the Middlesex Military Service Appeal Tribunal. Gurinder Singh Mann - Anglo-Sikh Wars; a Journey into Sikh Relics and Artefacts in the UK. Full details of the speakers and their presentations available here. OMRS 2017 Convention returned to Stratford upon Avon for another superb weekend of medal-related activities. The Convention began with a reception for members and guests – a new event – at the hotel on Friday evening. This proved extremely popular with 86 people attending and many of them continued their discussions in the hotel bar or nearby restaurants. It helped create a buzz that lasted throughout the weekend. The dinner on Saturday night proved popular with 111 attending and discussions continuing into the wee small hours. The Society is delighted to announce the publication of Norman Gooding’s new book Honours and Awards to Women The Royal Navy. Norman Gooding is one of Britain’s leading experts on honours and awards to women, in addition to being a past President and a long-serving General Secretary of the Orders and Medals Research Society. Honours and Awards to Women The Royal Navy is his third work in a series of such books. Divided into sections on Queen Alexandra’s Royal Naval Nursing Service, the Voluntary Aid Detachments who assisted them, the Women’s Royal Naval Service and the Women’s Royal Naval Reserve, it contains the fruits of a lifetime’s research inone easy-to-use volume. There are full rolls of all honours bestowed on those who served in the separate women’s sections of the Royal Navy until these were absorbed into the main body of the service in modern times. There is also a list of those who received long service medals and a mass of information about campaign medals. The book is a unique reference work. Available in late March 2017, 155mm x 234mm, soft bound with colour cover, 132 pages, numerous black and white illustrations, ISBN 978-0-9568266-9-5. This limited edition is priced at £5.00 to members (restricted to one copy each) and £10.00 to non-members, plus post and packing. Order and pay using credit and debit cards via the Society website: www.omrs.org Members and non-members may also order by post with a cheque (made payable to ‘OMRS’) via the General Secretary (enquiries to: generalsecretary@omrs.org): PO Box 1220, Spalding, PE11 9FZ, United Kingdom. Dahlia Harrison, General Secretary has relocated to Spalding in Lincolnshire. Should members need to contact her by post, her new address is OMRS, PO Box 1220, Spalding, PE11 9FZ. Contact can be made through the website using the Administrative & General heading on the Contact Us form. 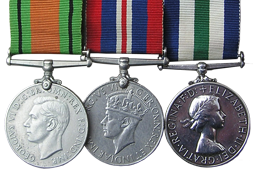 A huge amount of knowledge is held by members as a result of their research into their medals and collections. The aim of the Convention Exhibition is to encourage as many members as possible to exhibit in order to present their knowledge and share the results of their research with other members. We hope that as many members as possible will take part and hope they find the exhibition to be an enjoyable, but challenging, experience. Exhibitor Guidelines give clear guidance on exhibiting in each class. Exhibitors should register to exhibit using the Convention Booking Form. In addition to the formal exhibition classes, there is the coveted Members’ Choice award where members vote for the best exhibit.